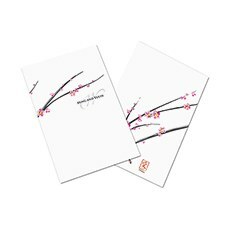 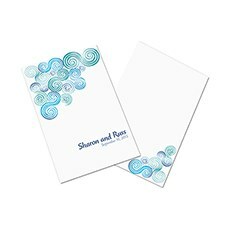 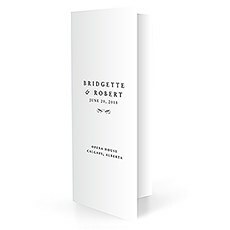 Print your ceremony details on these personalised wedding programs available in many designs to complement your wedding theme. 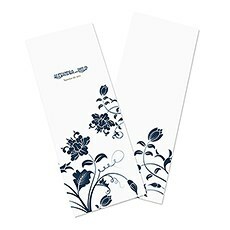 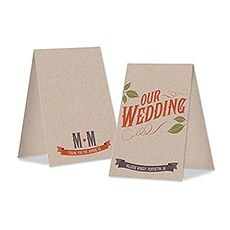 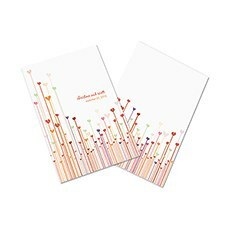 Folders and covers for special details to customise your wedding programs. 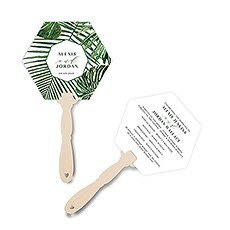 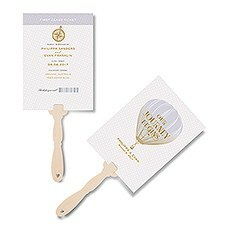 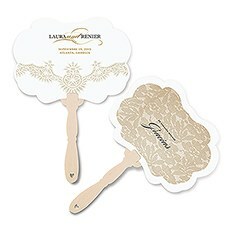 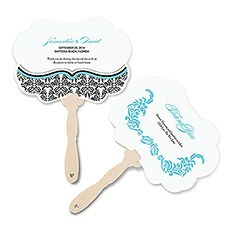 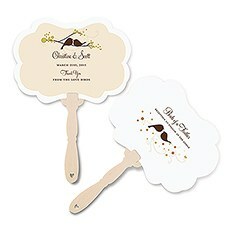 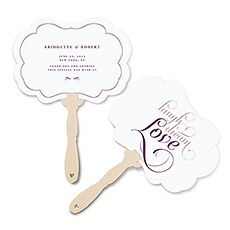 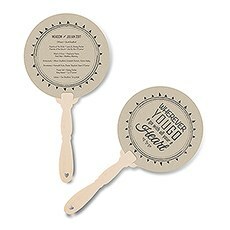 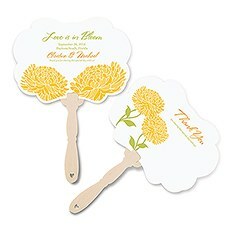 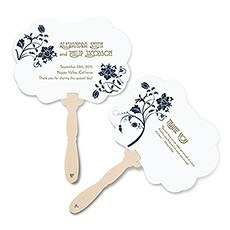 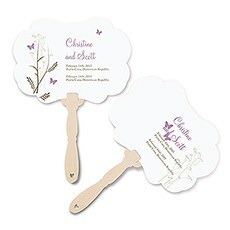 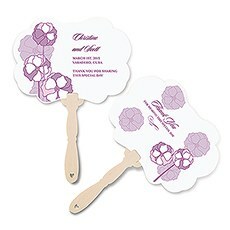 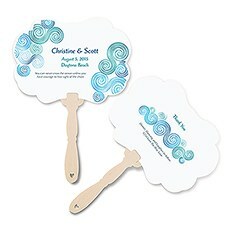 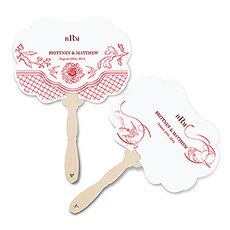 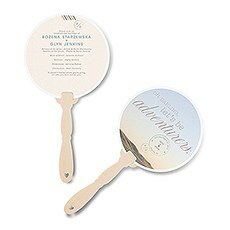 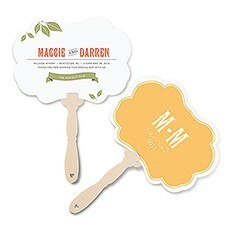 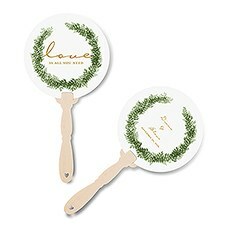 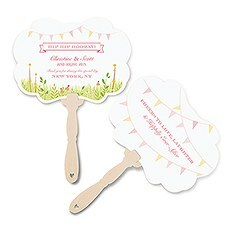 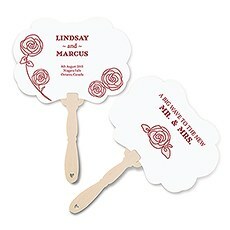 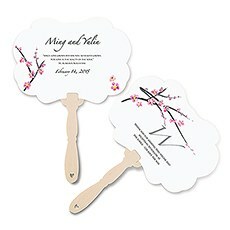 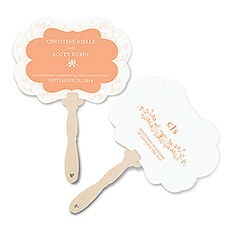 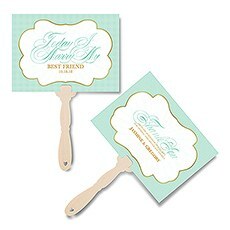 Ceremony details printed on personalised hand fans are a thoughtful touch for a hot summer wedding. 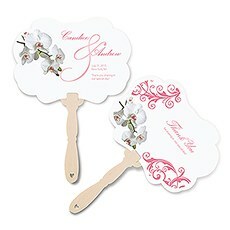 Sometimes things heat up, cool down with a selection of personalised paper hand fans. 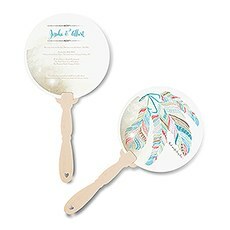 Introduce your guests to your wedding party and quickly give them a run-down of the ceremony with our fine collection of wedding programs. 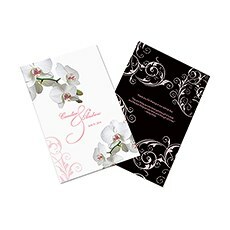 Produced on high-quality, durable paper, each program design beautifully captures a mood or theme, and they include personalisation details.Choosing a Wedding Program DesignChoosing a program design that's right for your wedding is easier when you know what wording style you prefer. 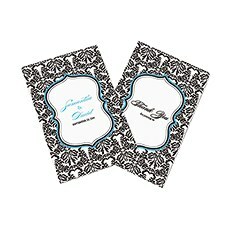 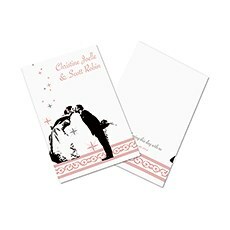 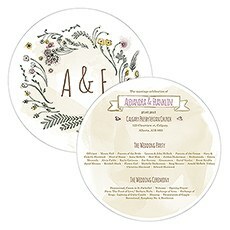 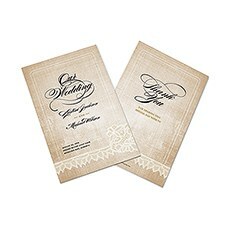 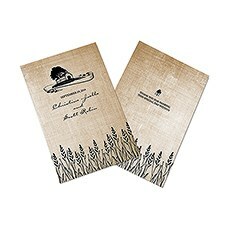 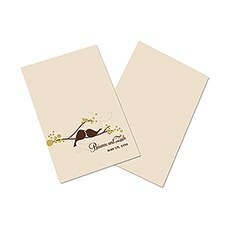 Traditional wedding programs have classic designs that pair well with formal fonts and wording. 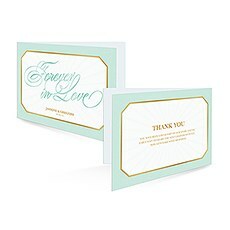 If your wording is less formal, but not casual, contemporary designs with a touch of formality are a good choice. 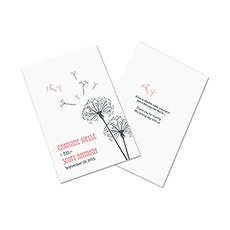 Casual program designs are suitable for casual wording that is short and direct.We offer many styles that fit more than one of the above descriptions, and we encourage you to contrast and compare designs. 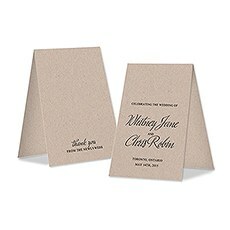 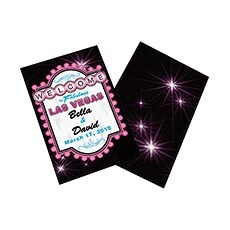 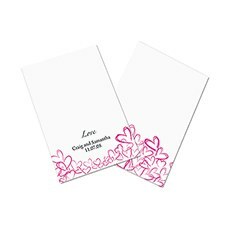 Programs include pre-selected font styles for easier decision-making.Single Fold or Tri-Fold?Weddingstar programs come in single fold and tri-fold designs. 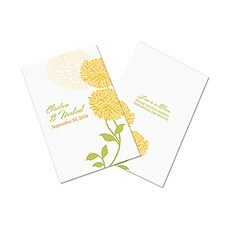 Both choices have plenty of room for basic information such as a list of wedding party participants and ceremony details. 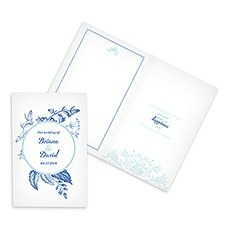 The main difference is that single-fold programs are wider in appearance and most information is provided on the inside left and right sides.Alternatively, tri-fold programs open into three separate sections, and information is spread between a left, middle and right section. 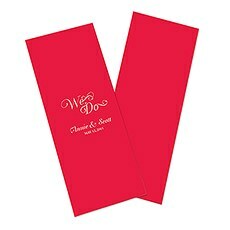 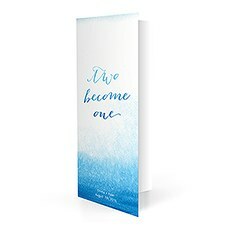 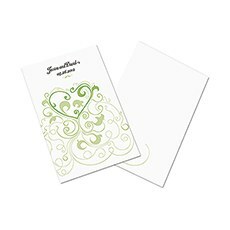 Tri-fold styles also have a sleeker appearance.Additional WordingIf you want to include special thanks on wedding programs, consider designs that feature front and back personalisation. 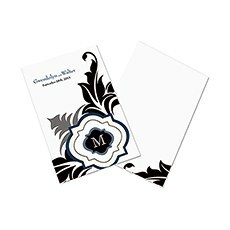 Or, think about how you can fit that extra wording on the printed interior along with basic details.Insert folders give you another option for expanding the word capacity for your programs. 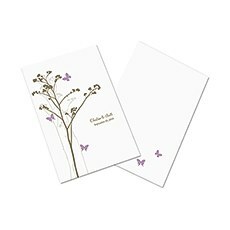 Inserts have a single vertical fold and often come in a variety of colours. 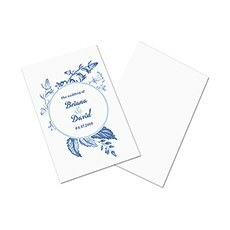 Print details on the insert interior and slip them into programs.Suitable for Most PrintersWhile you can choose to have a print shop finish your programs, you can also opt to go the do it yourself route. 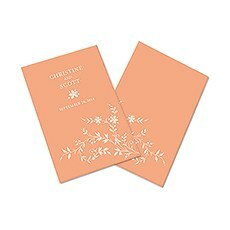 All our programs feature text paper, which performs nicely with at-home printers.